MS Outlook Supportive Editions: 2016/2013/2010/etc. Note: After placing an order, you will get system generated email regarding a confirmation on your order. It may take 20-30 minutes. If you don't get an email please check your spam / jumk folder. You can directly contact to our 24x7 sales team via Live Chat option. 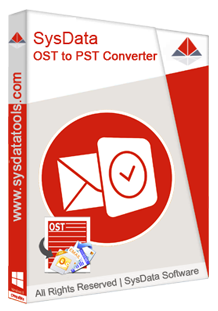 SysData Software provides trusted file conversion and data recovery solutions to our worldwide customers. We also provide 24x7 support if you get any trouble related to software. Copyright © 2019 SysData Software. All rights reserved.